These Convenience Combos combine our most popular trays with our #1 selling arm, packed in one box with a single part number for easy ordering and shipping. The Momentum articulating keyboard arm incorporates dial knob technology for easy tilt adjustment from -20 degrees to 10 degrees, providing optimal comfort for a range of users. 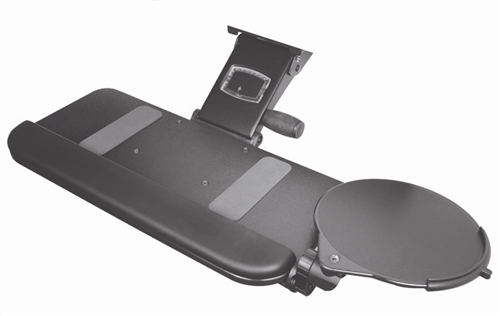 The Momentum Ultra arm also features Lift-N-Lock technology for effortless height adjustment from 2.38" to -6.5" (from top of track), ensuring that this is the easiest, most comfortable and convenient arm for use in the office environment. In addition, the Momentum Ultra now features an easy-to-read height and tilt indicator to complement its ease of use. This combo includes products 50074382190 and 504205100.